Toronto Lawyer, Howard Nightingale believes in fighting for the underdog. Howard Nightingale Professional Corporation believes very strongly about justice and fighting for what is right. Howard studied and graduated from the University of Windsor Law School in 1980 and was called to the Ontario Bar in 1982. 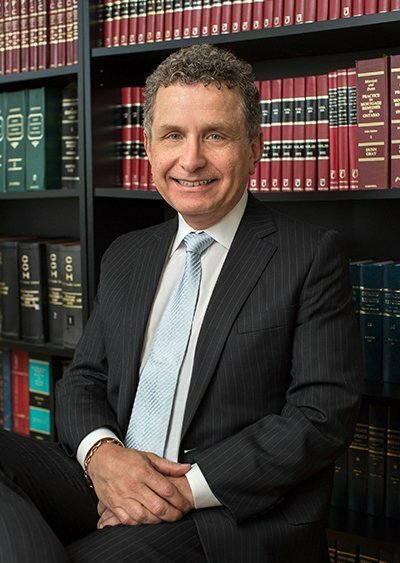 Howard has been in private practice for over 33 years and is a member of the Canadian Bar Association. I want to make sure that no matter what position you hold, every one has access to justice and everyone has the right to be heard. I also believe in fighting for the underdog and fighting for what is right”, says Howard Nightingale. Howard’s diversity in legal services include family law litigation, real estate law, corporate and commercial law and wills and estate planning. So why does Howard have such a diversified legal background? I have always had a passion for family litigation. I used to teach Real Estate and Corporate Commercial Education at Seneca College for the Law Clerks Institute. After my tenure in teaching, I continued in those areas of practice. Also, Wills and Estates is an extension of Family Law. If someone divorces, their Will needs to be changed. A family member may pass away and the matrimonial home may need to be sold.” says Howard. Howard has negotiated and drafted commercial transactions and leases. He has advised executors, estate trustees and clients on drafting Wills. At the end of the day, Howard ensures that every client is treated like family. As a family man, Howard has been married to his wife for over 32 years and has 3 children. As a humanitarian, Howard Nightingale has preserved the heritage of his Jewish ancestors. He has been the driving force behind the restoration of an old abandoned Jewish cemetery in Siedleczka, Poland. As a business networker, Howard has been a member of a Business Networking International Chapter in North York, Toronto know as “BNI Champions” for over 13 years.